Here is a new GLSL shader for the shader library. 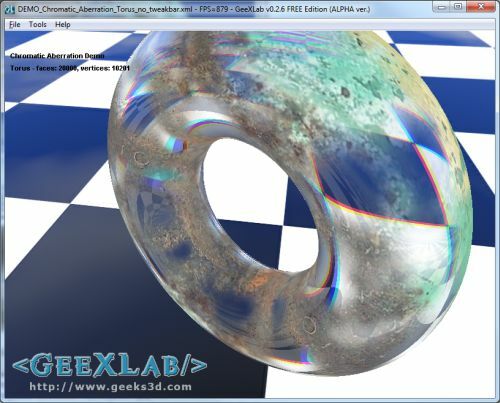 This shader implements the lighting dispersion effect also known as chromatic aberration. 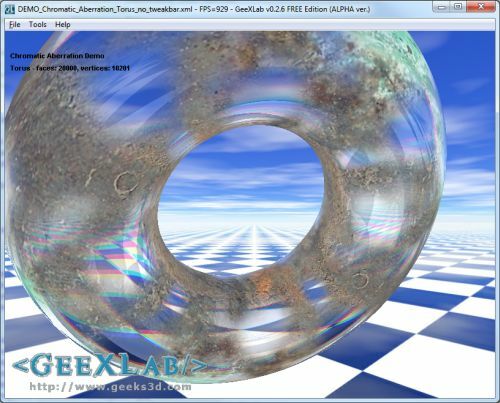 More details about chromatic aberration can be found here. light dispersion according to the indices of refraction (IoR). light reflection. 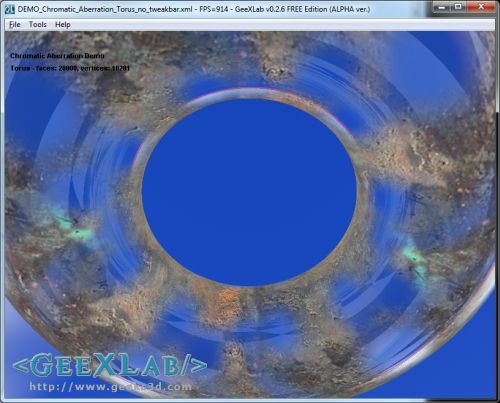 The reflection code comes from the following tutorial: Cube Environment Mapping. light refraction. The refraction code is based on the following paper: Fresnel Reflection. Unzip the archive somewhere and load (or drop) the xml file into GeeXLab (last version can be downloaded HERE). That’s all. // Texture coordinates for glossMap. // find world space position. // find world space normal. // find world space eye vector. //------ Do a gloss map look up and compute the reflectivity. //------ Write the final pixel. 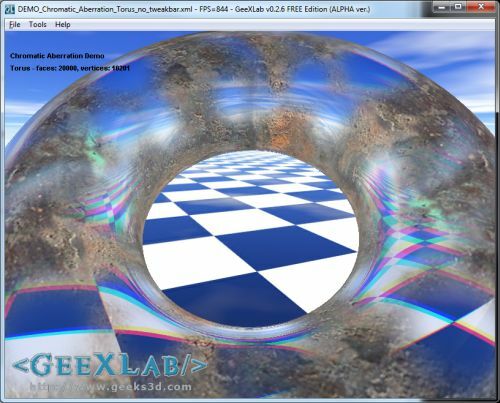 Wouldn’t be faster to use built-in refract() function? It surely computes the same and I think it works on both nVidia and ATI hardware. This shader comes from an old demo that’s why there’s this hand coded refract func. But you’re right, built-in refract() works as well, and it works fine. Very nice demo! As I see now you only split up the color components. Of course this is the fastest method but isn’t it possible to have a kind of linear color range that can be split up to make it even look more natural? You could probably compute the wavelength of the input color, and have a different ior for a few ranges of wavelength. Shouldn’t the fresnel be saturate’d before being used in mix ?